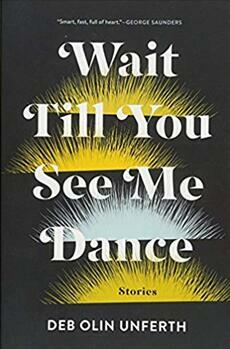 Wait Till You See Me Dance consists of several extraordinary longer stories as well as a selection of intoxicating very short stories. In the chilling “The First Full Thought of Her Life,” a shooter gets in position while a young girl climbs a sand dune. In “Voltaire Night,” students compete to tell a story about the worst thing that ever happened to them. In “Stay Where You Are,” two oblivious travelers in Central America are kidnapped by a gunman they assume to be an insurgent―but the gunman has his own problems. An Unferth story lures you in with a voice that seems amiable and lighthearted, but it swerves in sudden and surprising ways that reveal, in terrifying clarity, the rage, despair, and profound mournfulness that have taken up residence at the heart of the American dream. These stories often take place in an exaggerated or heightened reality, a quality that is reminiscent of the work of Donald Barthelme, Lorrie Moore, and George Saunders, but in Unferth’s unforgettable collection she carves out territory that is entirely her own. Deb Olin Unferth is the author of Minor Robberies, Vacation, and Revolution: The Year I Fell in Love and Went to Join the War, which was a finalist for a National Book Critics Circle Award in autobiography. She lives in Austin, Texas.